Is this donation in memory or in honor of Kevin Bingham? × By providing the notifyee’s email address or physical address, Cal Ripken, Sr. Foundation will reach out to the notifyee on your behalf to advise them of your donation. This information is not required, however. Thank you for choosing to make a difference in the life of a well-deserved child. Please use the guidelines below to assist you in your donation. $1,000 – Provides a complete, weeklong Ripken Summer Camp experience in Aberdeen, MD. $500 – Covers all necessary transportation and overnight camp facility costs for one youth. $250 – Provides necessary camp apparel and equipment for one youth. $100 – Helps to provide snacks and meals for the week. 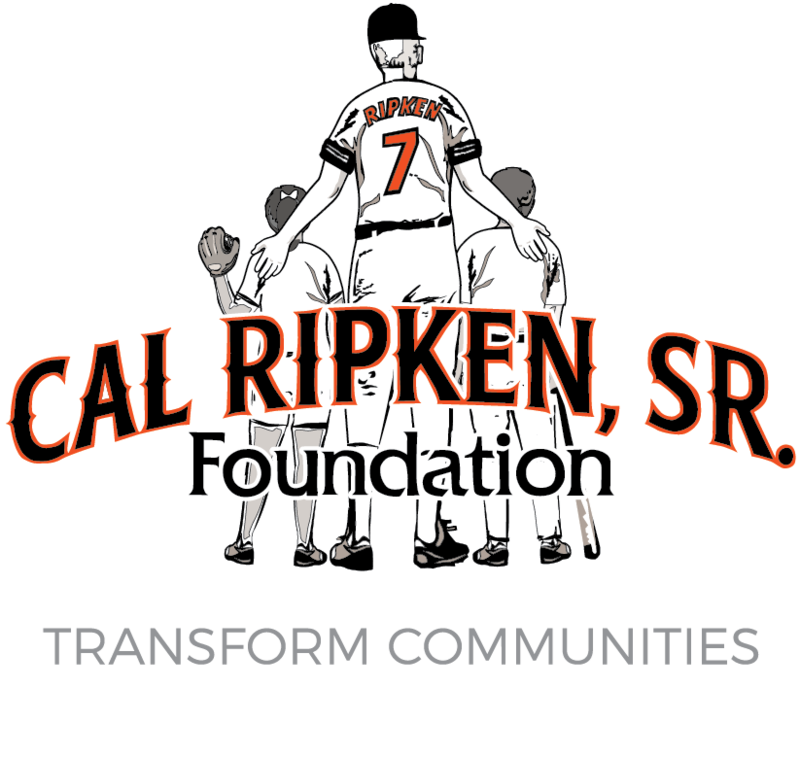 We thank you for your support of the Cal Ripken, Sr. Foundation. You will receive an acknowledgement of your tax-deductible donation by mail. Please call (410) 823-0043 if you have any questions or concerns. By making a tax-deductible donation today, you are connecting kids in distressed communities to great life coaches and giving them the opportunity to learn life’s critical lessons while having fun on the fields and off the streets. Most importantly, you’re letting a child know that someone cares. On behalf of the kids we serve, thank you. If you are interested in making a gift of stock or in planned giving options, please contact the Cal Ripken, Sr. Foundation’s Executive Vice President, Resource Development & Marketing, Carrie LeBow, at 443-841-7032 or clebow@ripkenfoundation.org.